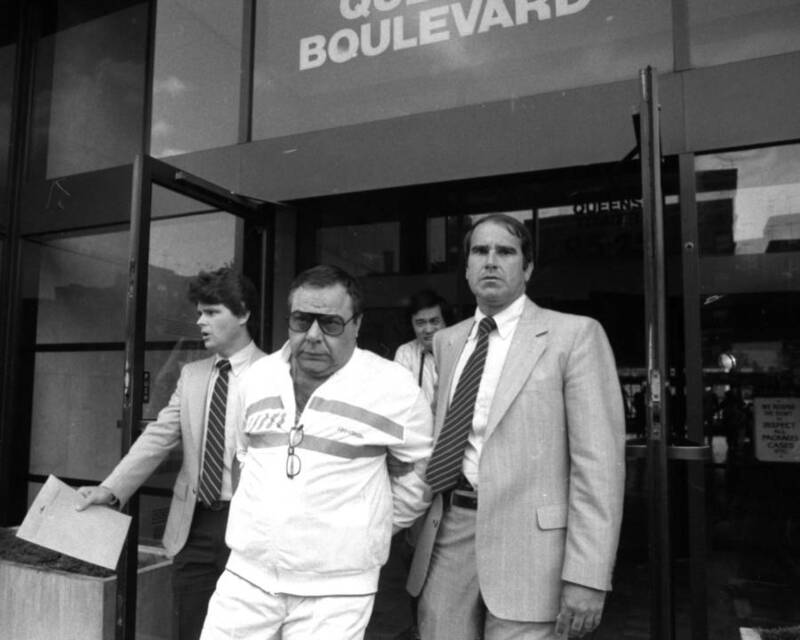 Officers lead Angelo Ruggiero outside a Queens, N.Y. FBI office following his indictment. 1986. 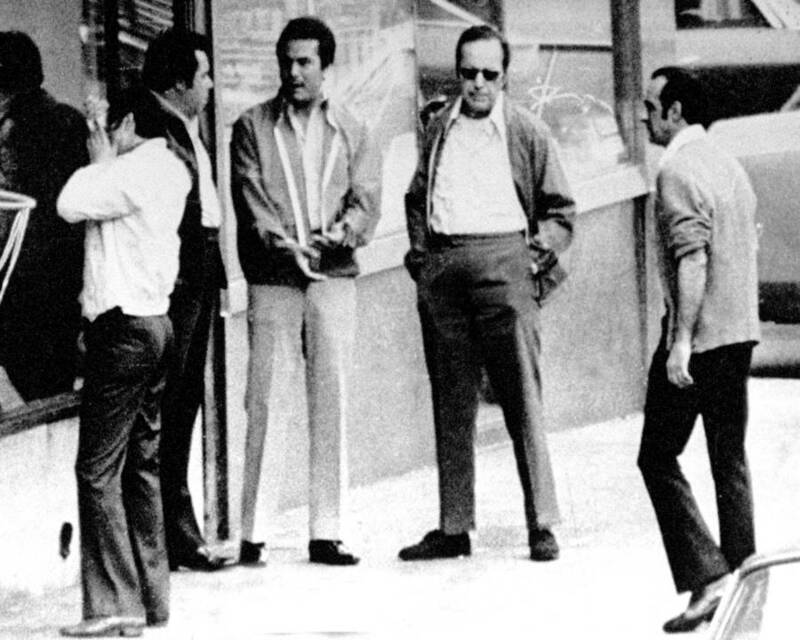 Angelo Ruggiero (second from left), John Gotti (to his right) stand alongside associates outside the Bergin Hunt and Fish Club in Queens, which served as a longtime base of operations for them. 1986. 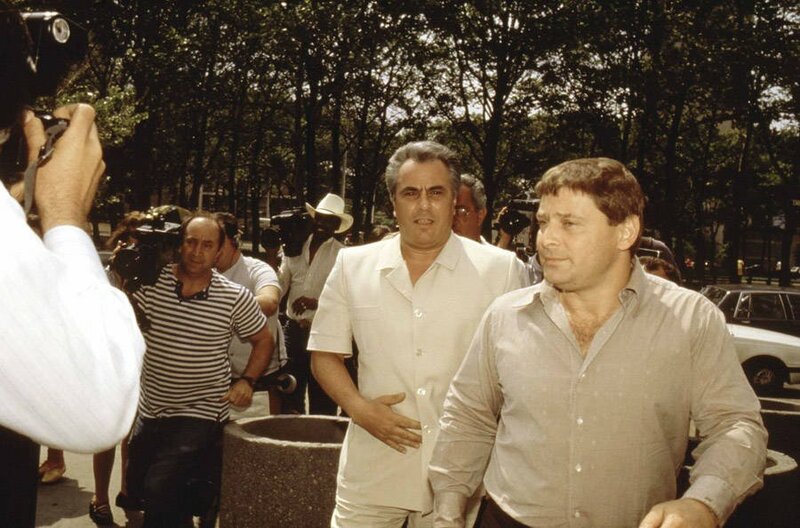 John Gotti, center, enters the Brooklyn Federal courthouse with Sammy “The Bull” Gravano. May 1986.